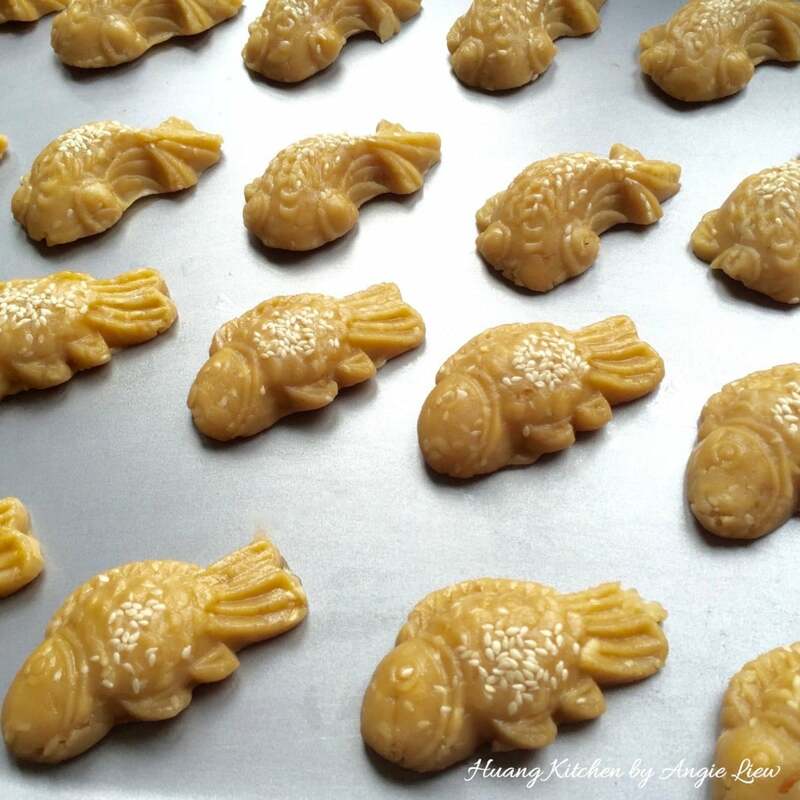 These lovely fish doll mooncakes are a type of traditional baked mooncake biscuits, also known as Kung Chai Peng 公仔饼. 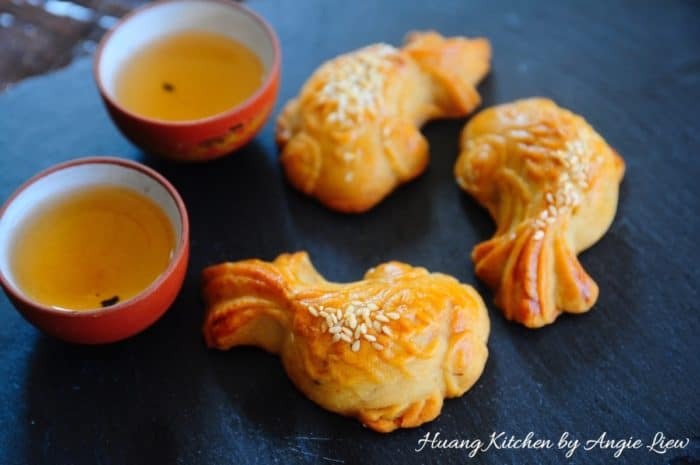 These mooncake biscuits are made entirely from the dough forming the outer skin of a mooncake. They’re sweet, chewy and comes in various fun shapes. Above all, they’re fun to make. A perfect project to do with kids in the kitchen too. 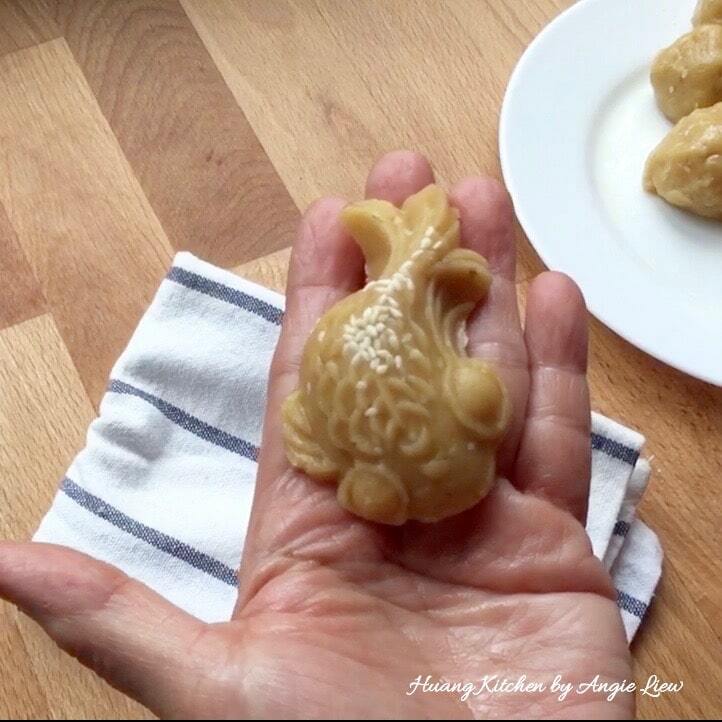 Traditionally, this mooncake biscuit is made without filling. However, I have chosen to add a chicken floss filling in it. For added crunch, toasted melon seeds, sesame seeds and walnuts are mixed together in the dough pastry. 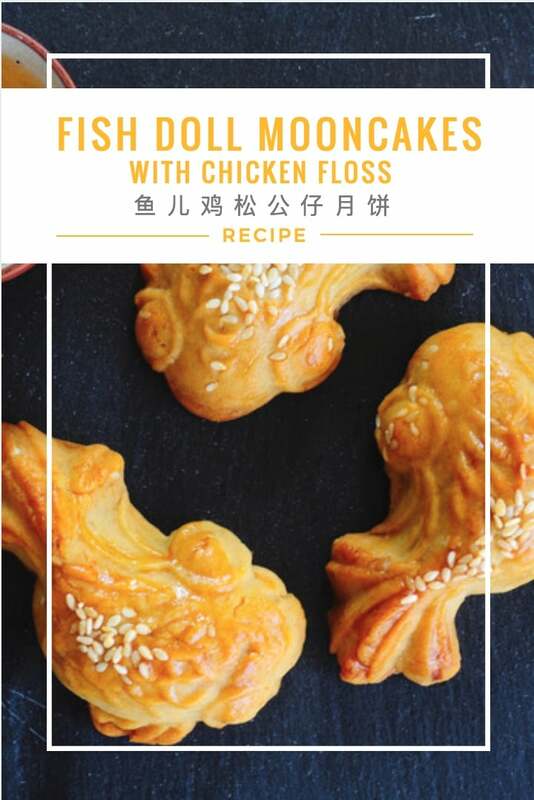 The mooncake biscuits are then shaped into pretty fish dolls and baked to perfection. 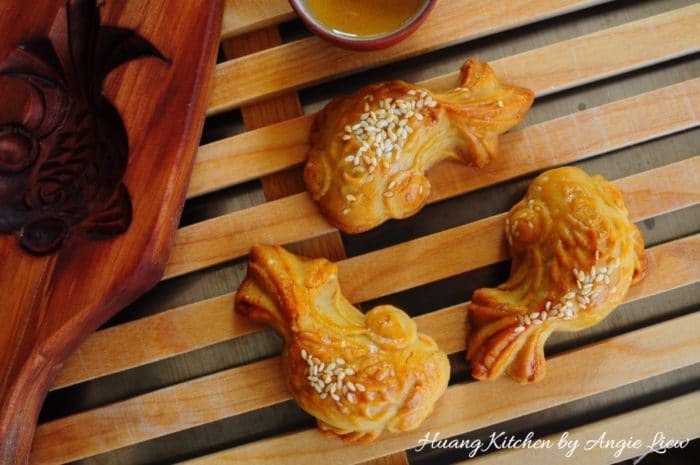 These mooncake biscuits certainly make a GREAT addition to the coming Mid-Autumn Festival celebration. 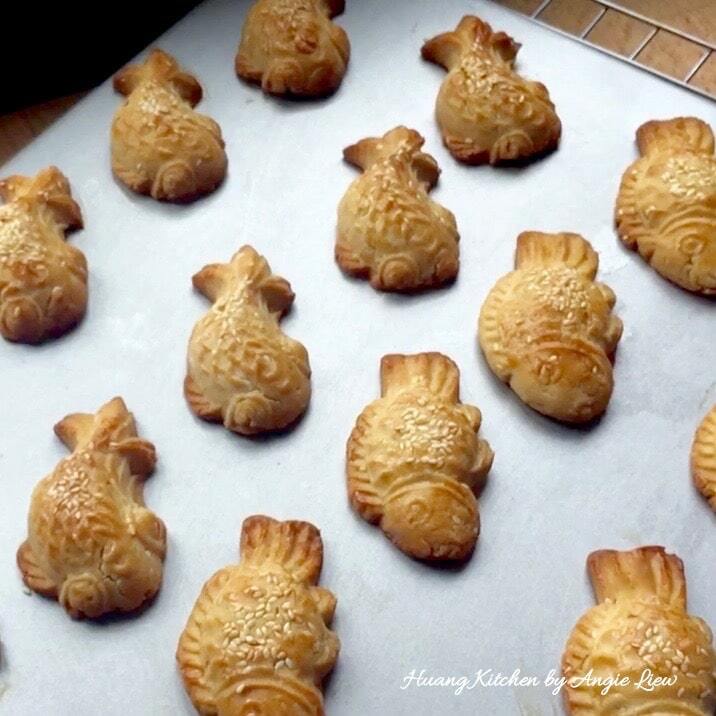 These lovely fish doll mooncakes are a type of traditional baked mooncake biscuits, also known as Kung Chai Peng 公仔饼. 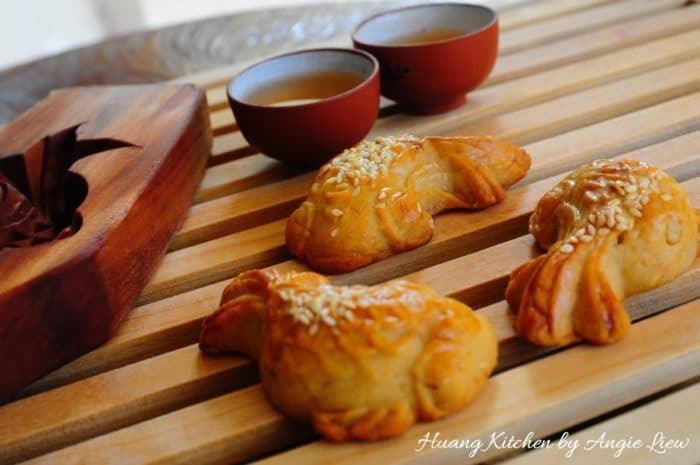 Comes in fun shapes and stuffed with a delicious chicken floss filling. Pour golden syrup in a bowl. Add in groundnut oil, alkaline water and 1 tbsp flour. Stir to mix well. Cover with cling wrap and set aside for a few hours, preferably overnight. 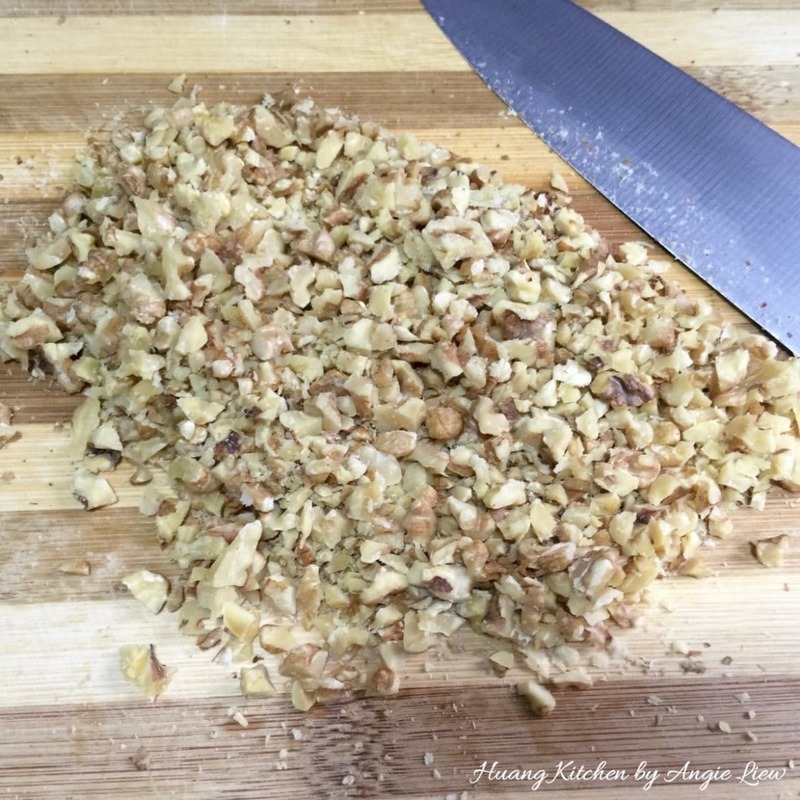 First, toast walnuts in a 175 degree C preheated oven for 10 minutes and set aside to cool. Then, chop into bite size pieces. Next, toast melon seeds for 5 minutes. Remove to cool. Then, toast white sesame seeds for 5 minutes. Remove to cool. 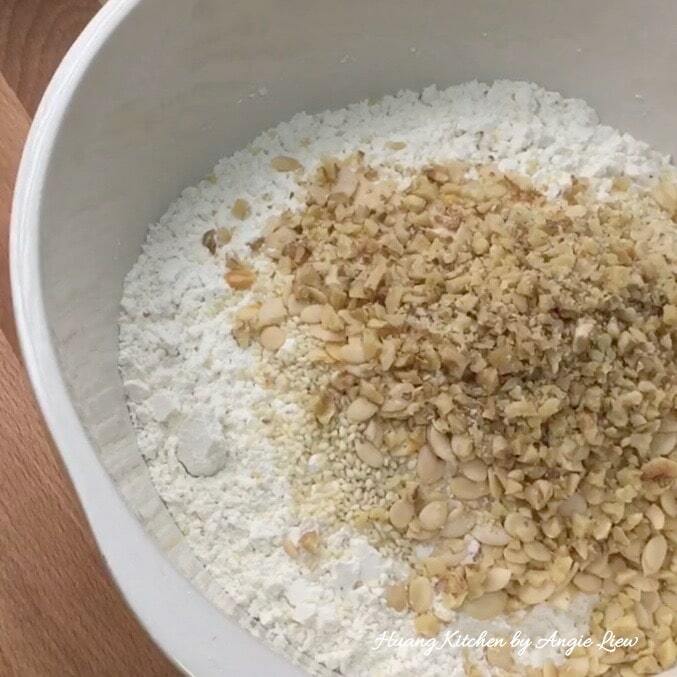 Place all the dry ingredients in a mixing bowl and stir to mix well. 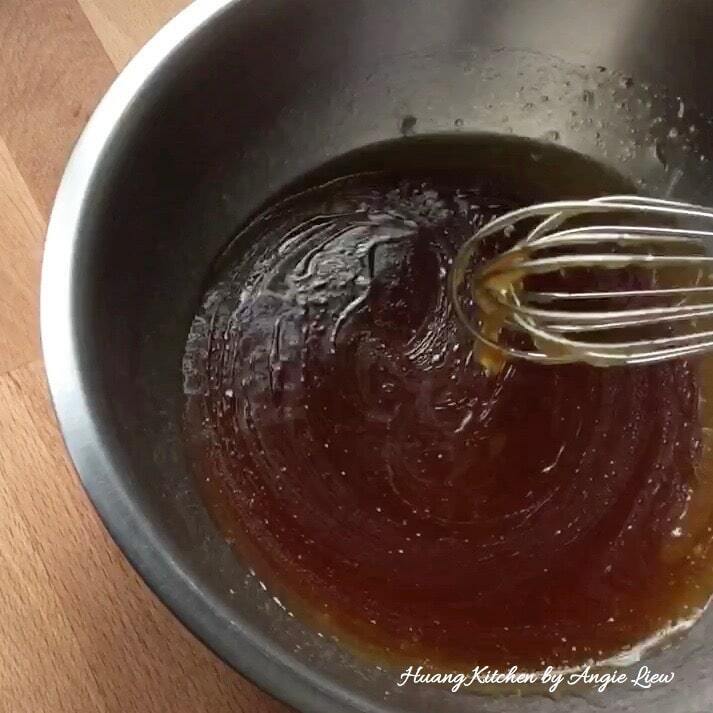 Make a well in the centre and slowly add in the golden syrup mixture. With a spatula, mix to form a soft dough. Do not knead the dough. Cover with cling wrap and set aside for 2 hours. Divide dough into small portions according to the size of the mould used. 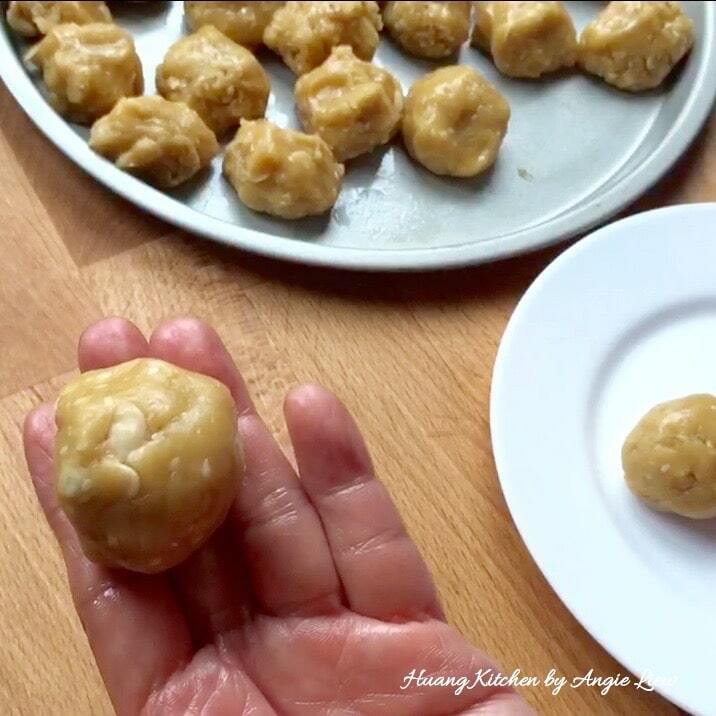 For my mould, I divide the mooncake dough into 25g each and roll into balls. Wrap a teaspoon of chicken floss in each dough ball. Pinch dough to secure the seam. Then roll again into round shape. Repeat the same with the rest of the mooncake dough. And we're ready to shape the mooncakes. 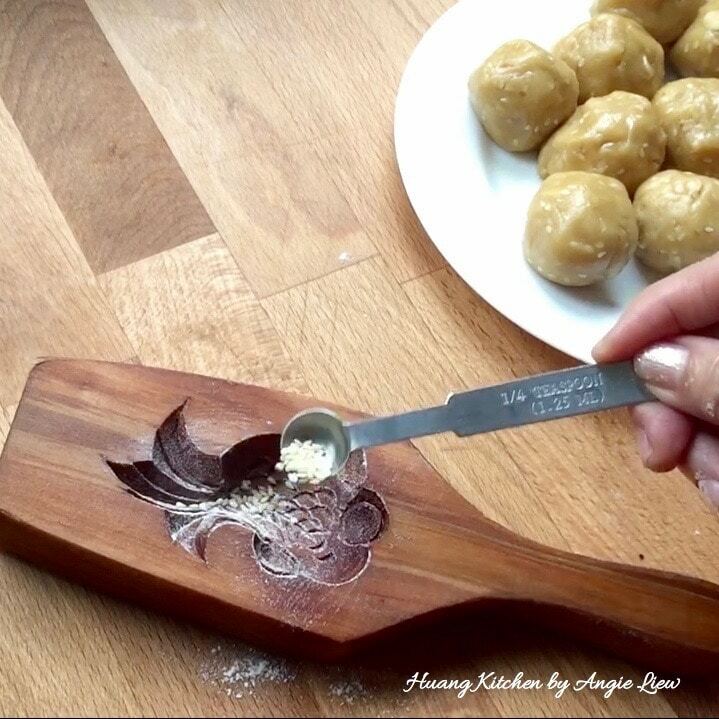 Lightly dust a mooncake mould and sprinkle with sesame seeds. Place rolled dough in the mould and press to ensure dough is filled to the brim of the mould. Tap gently on a thick kitchen towel to dislodge the dough from the mould. And we have a fish doll mooncake all done! 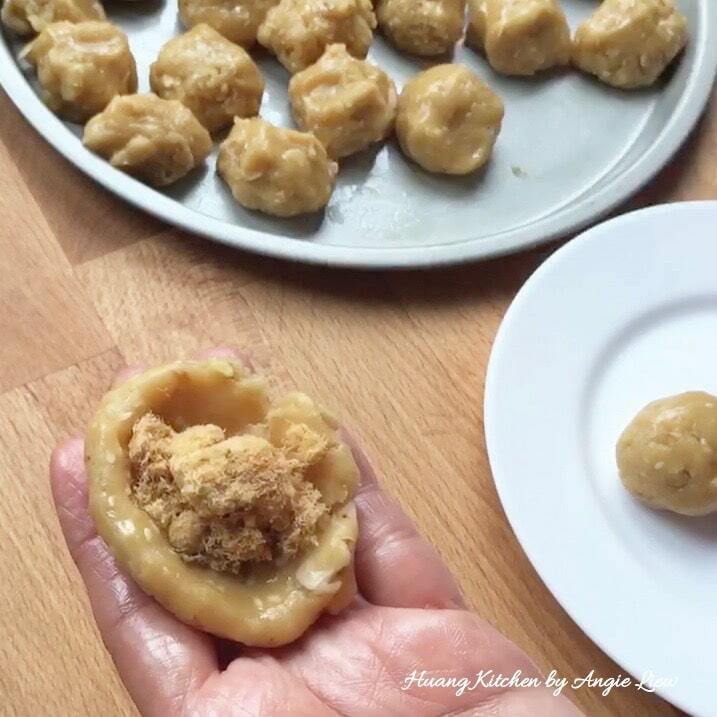 Repeat with the remaining filled mooncake dough balls. Arrange on a baking sheet. And we're ready to bake! First, preheat oven to 190 degree C and place wire rack in centre of oven. 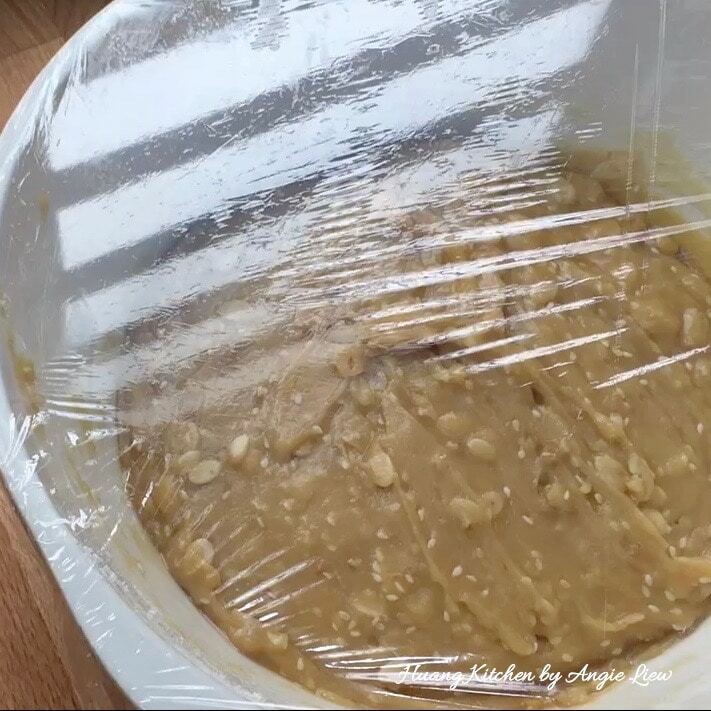 Bake the mooncakes for 10 minutes. 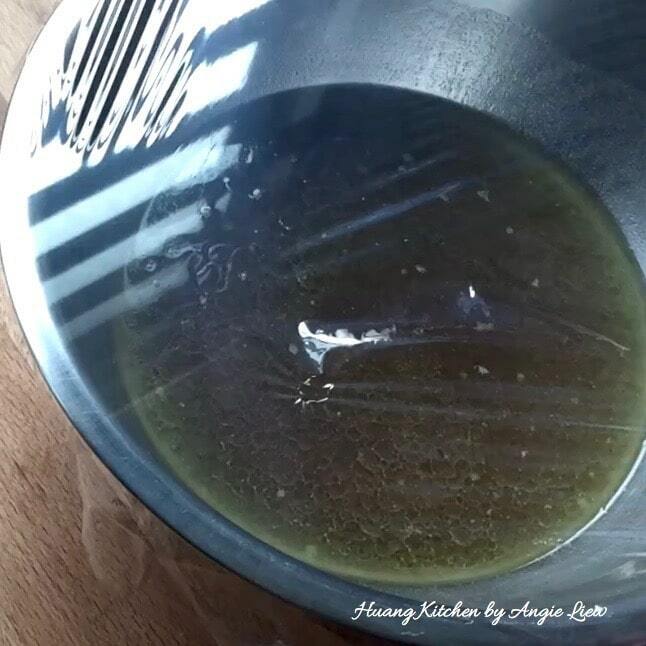 While mooncakes are in the oven, prepare egg wash. Mix 1 egg yolk and 1 tbsp water, then strain through a fine sieve. 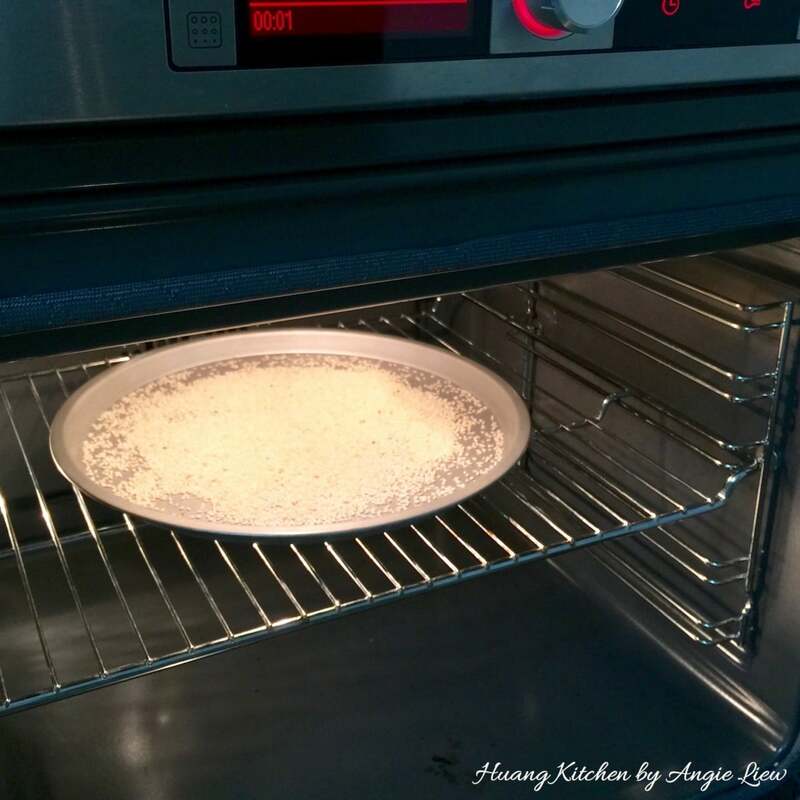 After 10 minutes baking, remove from oven and leave to cool on wire rack for 15 minutes. Then brush the top with egg wash.
Return to oven and continue to bake for another 8-10 minutes or until just golden brown. 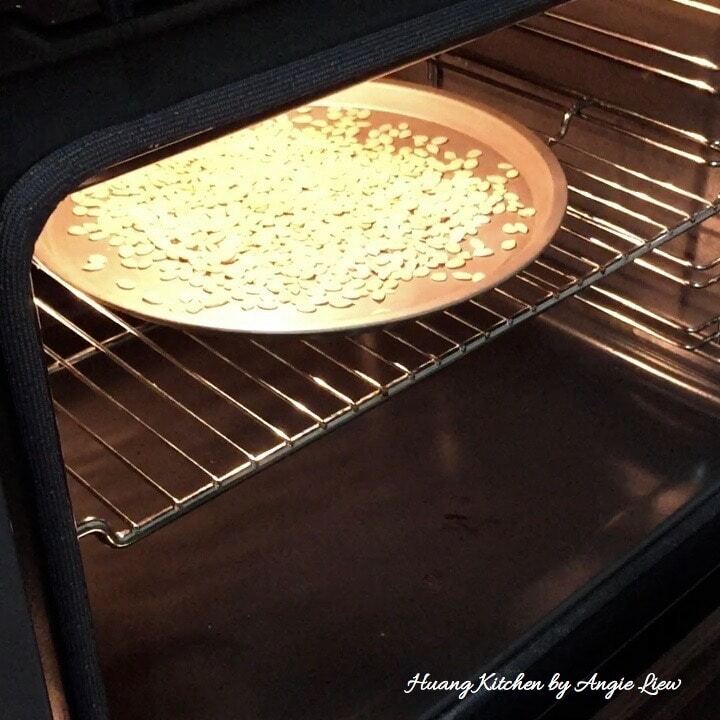 Remove from oven and cool on baking sheet for 5 minutes. Then transfer to wire rack and leave to cool completely before storing in air tight containers. Wait for 2-3 days for the mooncake skin to soften before serving. As always, ENJOY! 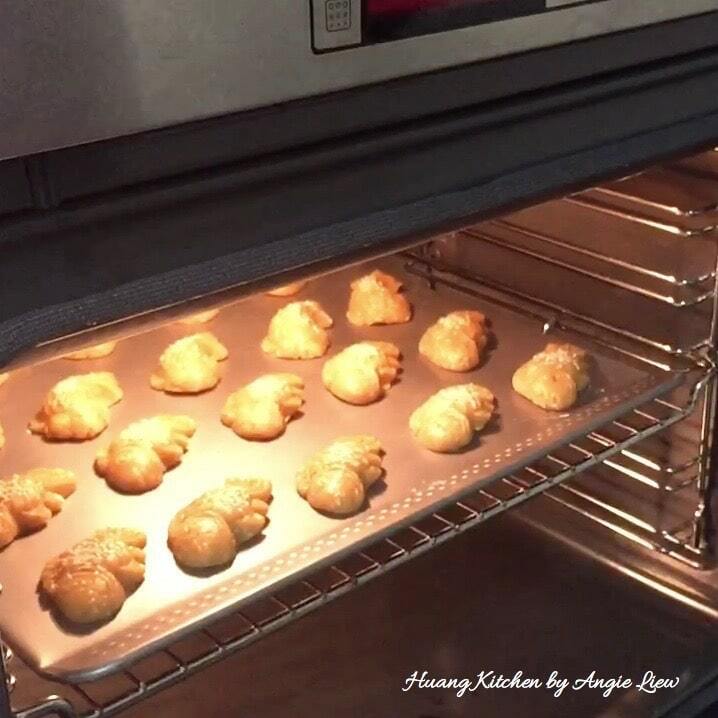 As all ovens are different, be sure to check the mooncakes towards the end of baking to make sure they are not over browned. 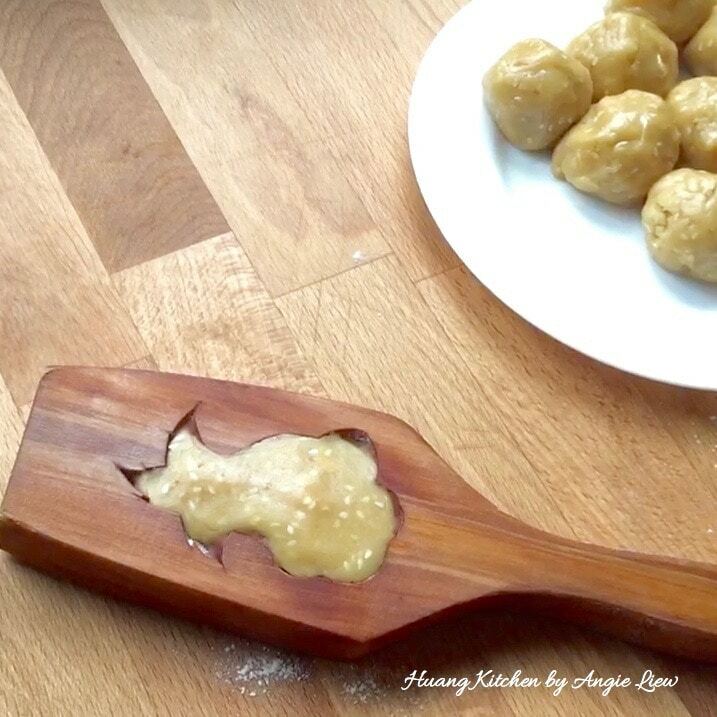 Overbaked mooncake biscuits will become too hard to eat. 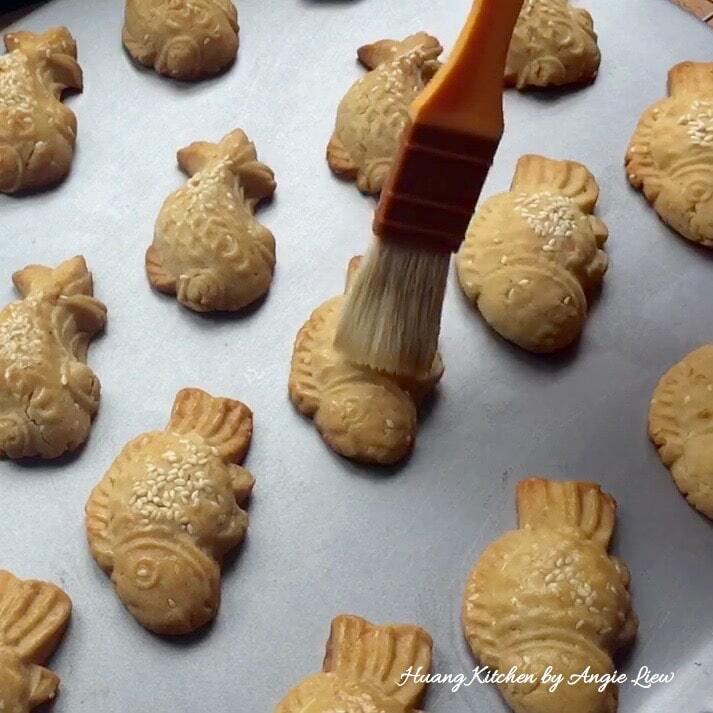 To prevent cracks, spray mooncake waters with a little water before baking. 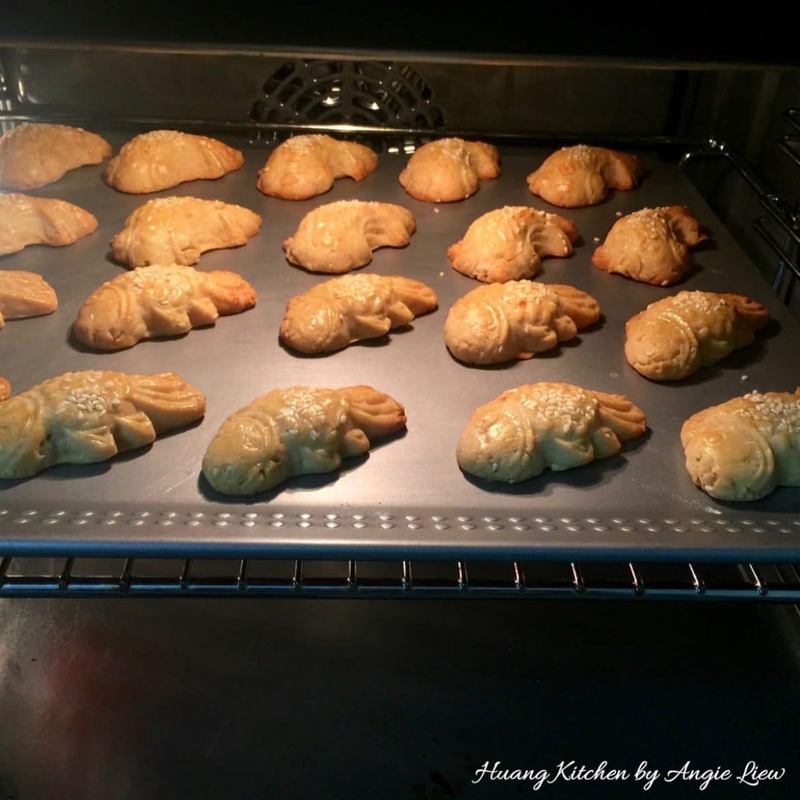 These mooncake biscuits are not ready to eat once baked, as they will be hard. 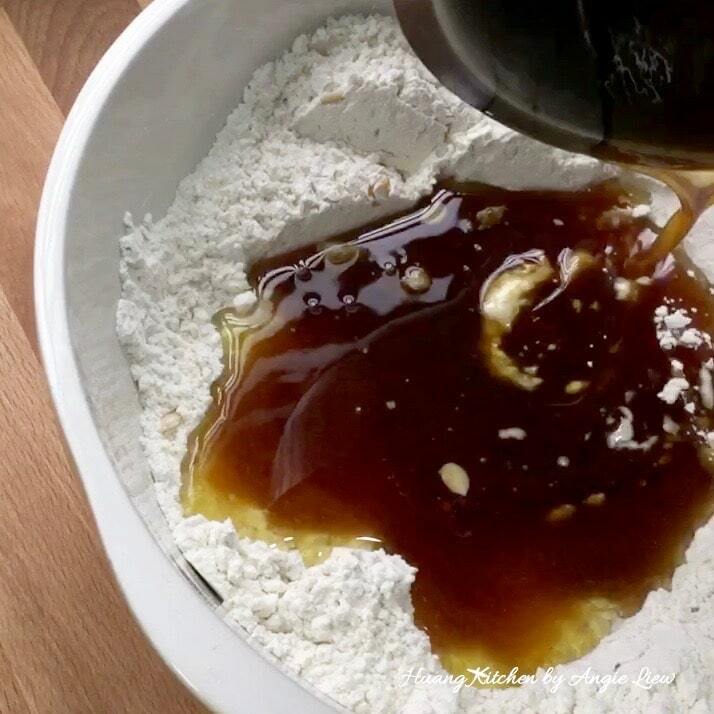 Storing for 1-2 days allows the golden syrup to develop and soften the biscuits.